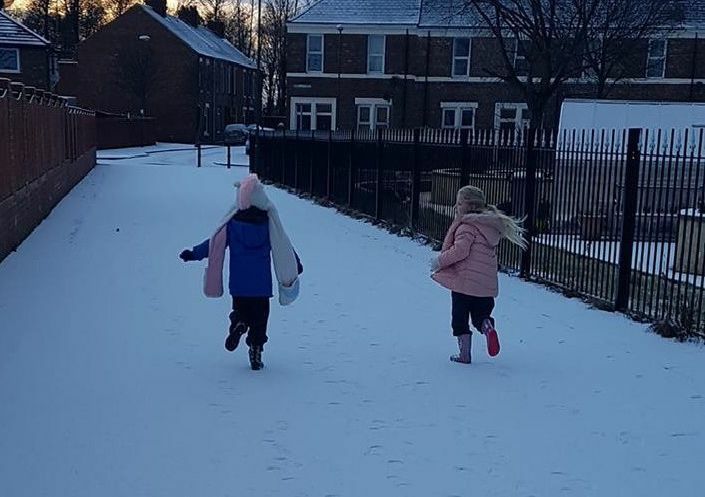 South Shields has been transformed into a winter wonderland as snow and ice sweeps across the North East region. Alfie enjoys the winter weather. Having fun whatever the weather. Kayden and Carter in action. South Marine Park enchanced with ice.